The Microsoft Surface Go was announced a while back as the company's foray into the affordable tablet market. If you pre-order the slate from Best Buy, you also get a $50 Best Buy gift card, and the assurance that you will get your hands on the device before its release date on August 2nd. The $400 Surface Go comes with a 10 inch 3:2 display, a fully functional USB-C port, and the kickstand made popular by Microsoft's Surface lineup, and they are powered by 7th generation Intel Gold processors. Best Buy has two different versions of the Microsoft Surface Go - 64GB model with 4GB of RAM for $400 and a 128GB SSD version with 8GB of RAM for $550. You will get the $50 gift card with either one. Microsoft also has plans to release a version of the Surface Go with cellular data connectivity. 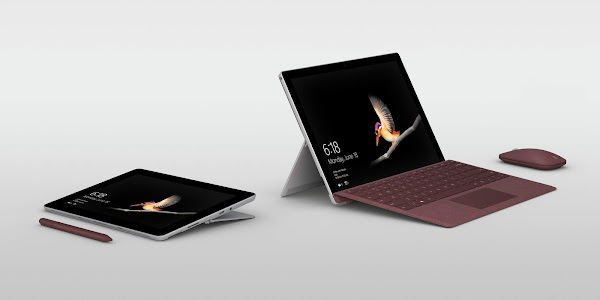 However, if you are not interested in waiting for that model, you can pickup the regular Surface Go by following the link below.